On January 24, the European Commission imposed a EUR 997 million fine on the world’s largest supplier of Long-Term Evolution (LTE) baseband chipsets, Qualcomm, and once again unequivocally confirmed that abusive market practices by dominant players were the eyesore of the EU competition law. By levying one of the highest fines in history, the Commission reproached the renowned US chipmaker for making financial concessions to Apple, its biggest customer, on the condition that it would buy LTE baseband chipsets exclusively from Qualcomm. This penalty came as one piece of puzzle currently surrounding the American tech giant – Qualcomm lost a battle on one front, but it remains to be seen who will eventually win the war. 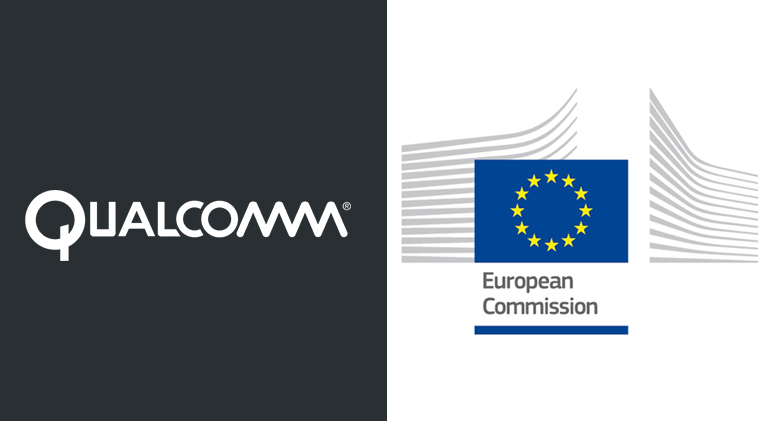 After a two-and-a-half-year long investigation, the European Commission (the Commission) hit the gavel and declared Qualcomm, the global supplier of LTE baseband chipsets, ‘guilty as charged’. The investigation into possible abuse of dominance was launched back in 2015, and primarily revolved around the exclusivity deal between Qualcomm and Apple effective until 2016. The Commission examined Qualcomm’s share on the market for LTE baseband chipsets (one of the latest solutions for transmission of voice and data, vital for mobile phones and data terminals) and possible harm that Qualcomm’s behavior vis-à-vis Apple caused to consumers. Based on the collected evidence, the Commission concluded that the case should be dealt with as a priority – applicable to cases that are the most detrimental to consumers. The Commission’s analysis showed that Qualcomm’s share on the market for LTE baseband chipsets was, for the most part of the period under investigation, reaching 90%. When this dizzying market share is taken into consideration together with high barriers to entry, partly caused by Qualcomm’s very own intellectual property rights, then its duty to behave responsibly and safeguard competition on this, and other separate markets, becomes unequivocal – the Commission confirmed. Competition concerns raised in the case at hand resulted from the commercial deal sealed between Apple and Qualcomm, which envisaged significant payment obligations for Qualcomm in consideration of exclusive use of its chipsets in Apple “iPhone” and “iPad” devices. These obligations included, among others, significant short-term reductions in price, and were conditioned upon the perseverance of the exclusivity arrangement – had Apple decided to switch suppliers, it would lose the remuneration openhandedly offered by Qualcomm and even repay a large sum of what it had been receiving in the past. market dominance + significant consideration in return for exclusivity + reduced incentives to turn to other suppliers + Apple accounting for one third of demand on the market + no efficiencies for consumers = abuse, with a capital A. A fine amounting to 4.9% of its 2017 profit didn’t really come as a ‘cherry on top’ for Qualcomm. The company already faced a USD 854 million fine in South Korea over anticompetitive practices, forcing vendors to pay royalties on its patents. At the moment, the Commission is running a separate investigation into potential predatory pricing by the US manufacturer. Besides, the company is currently involved in a dispute with Apple over chip royalties, but also facing a hostile takeover from its rival Broadcom. On a different front, Qualcomm is attempting to buy the Dutch chipmaker NXP for USD 47 billion and must await approval from Chinese regulators before it can be set in motion. Qualcomm has already confirmed that the decision will be challenged before the EU courts. Will they once again take the side of the injured party and quash the decision for the lack of proof and/or other procedural errors, nobody can tell for sure. For now, all bets are off the table.